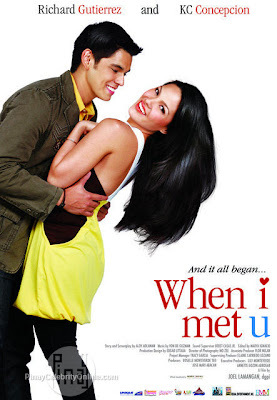 "When I Met You" movie, starring KC Concepcion and Richard Gutierez Valentine offering of GMA Films. Last year, GMA Films' "My Best Friends Girl Friend" starring Richard Gutierez with Marian Rivera made it to the top 5 films of 2008. Will the 2nd KC and Richard tandem repeat last year's success? It's for us to find out. 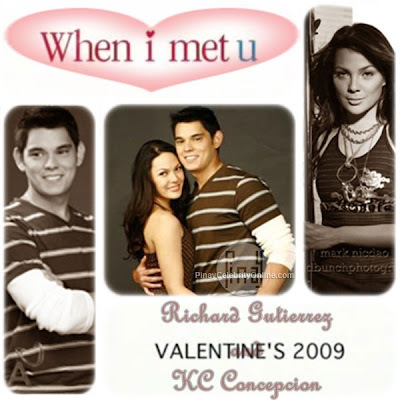 KC Concepcion and Richard Gutierez's first film was "For the First Time" under Star Cinema.